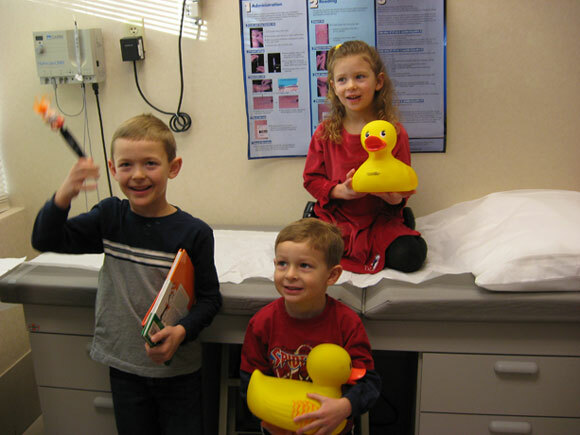 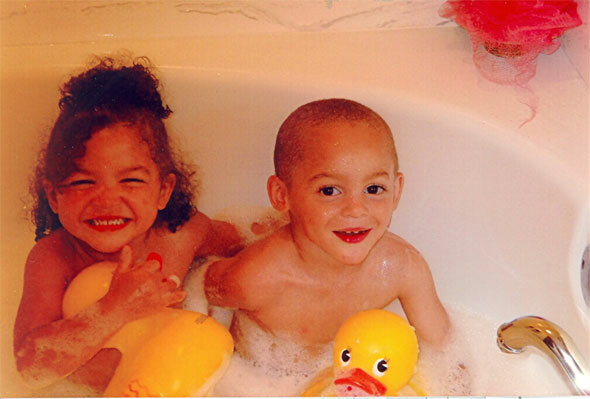 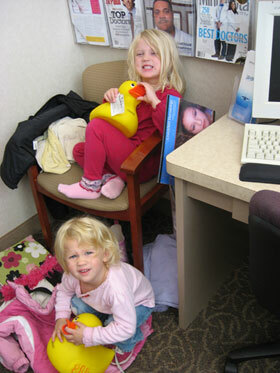 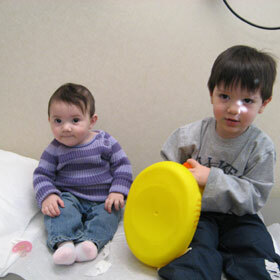 At Crutchfield Dermatology in Eagan, we really love all of our pediatric dermatology patients. 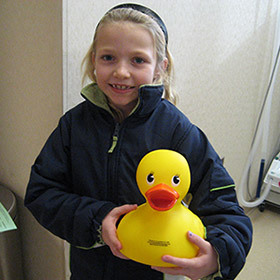 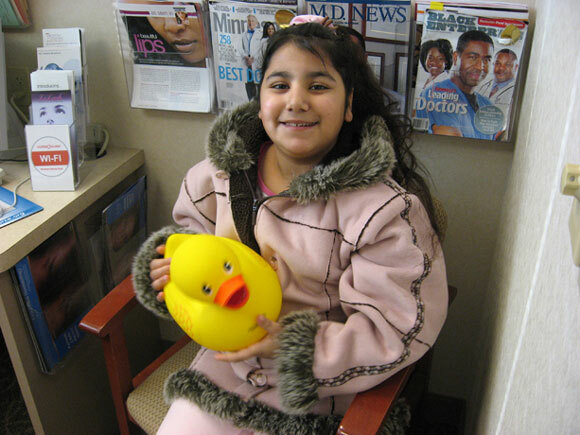 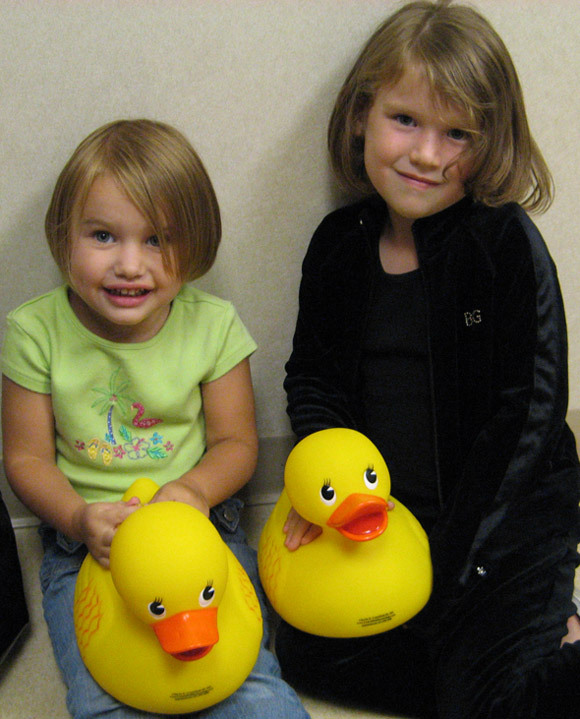 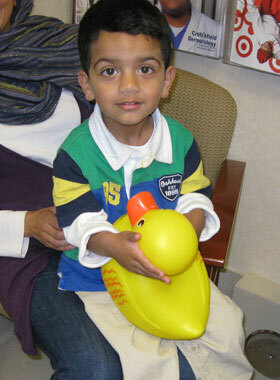 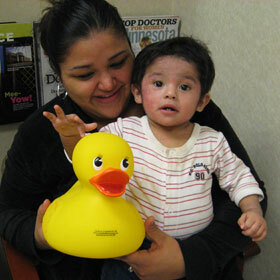 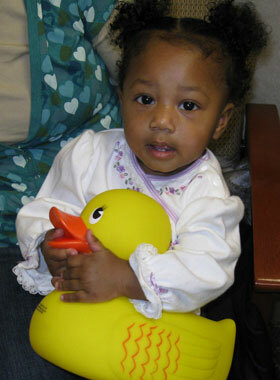 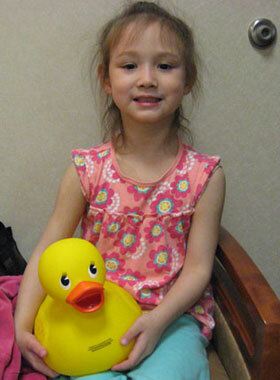 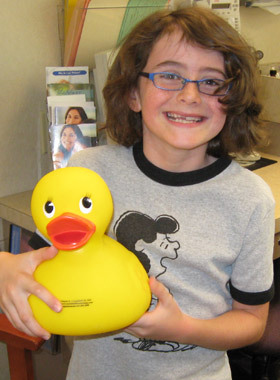 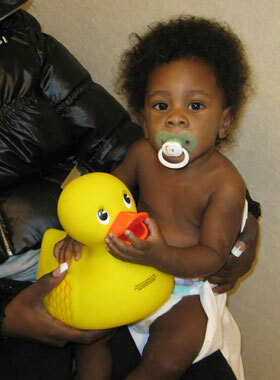 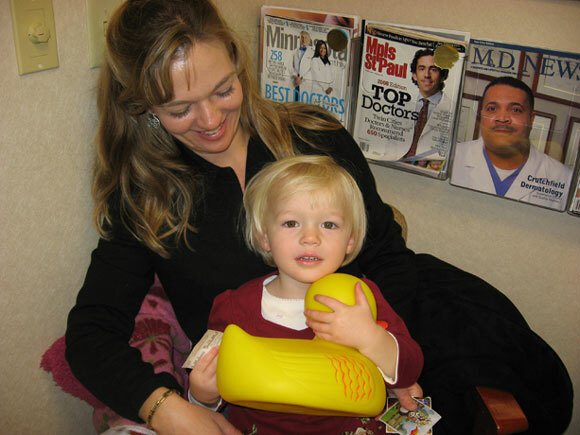 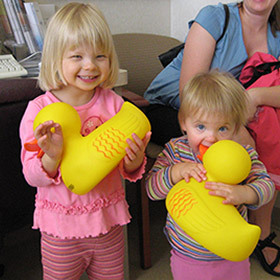 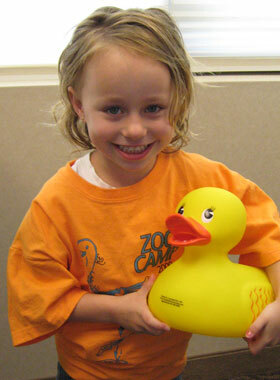 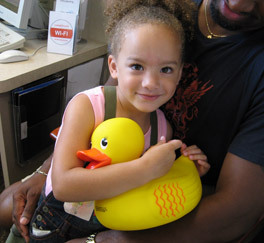 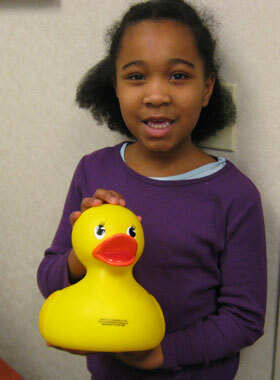 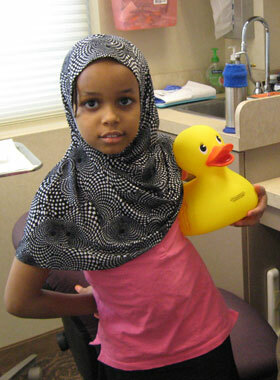 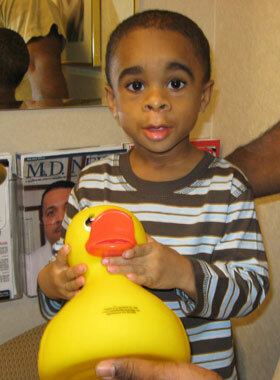 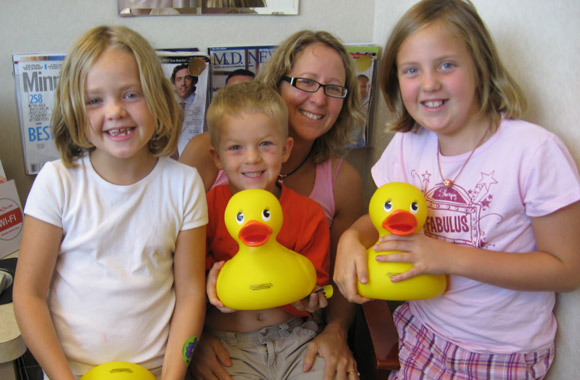 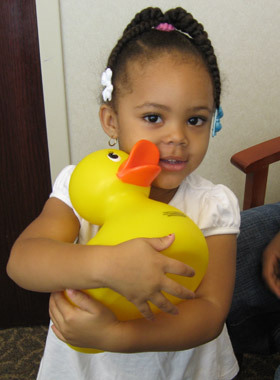 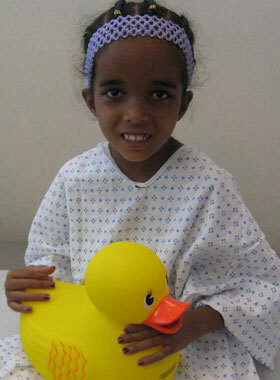 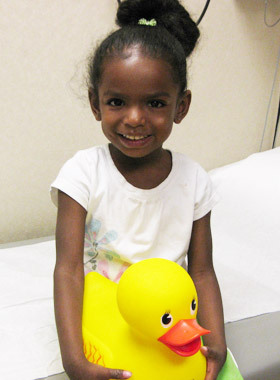 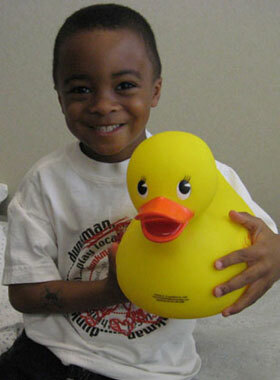 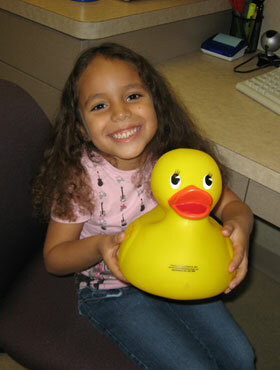 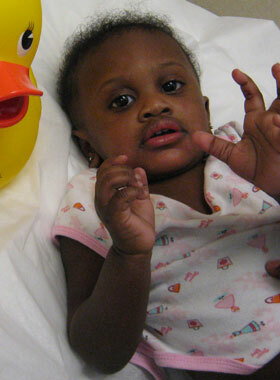 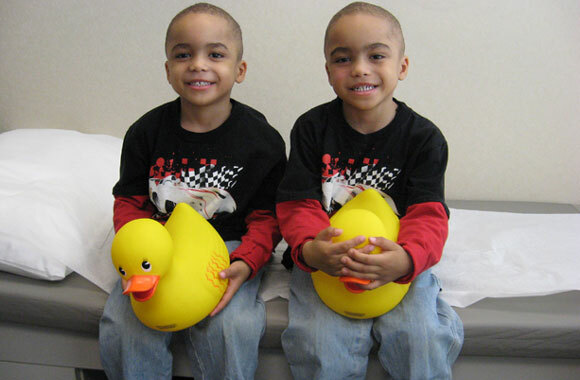 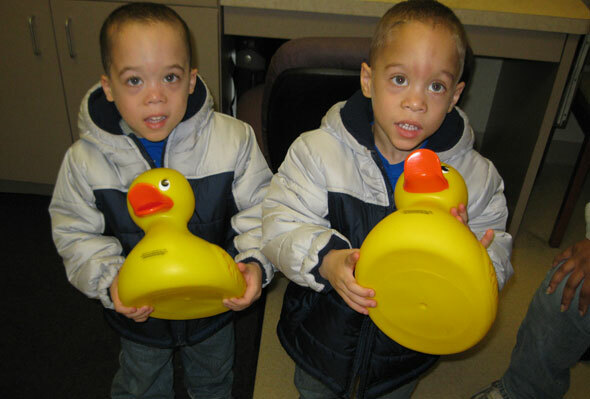 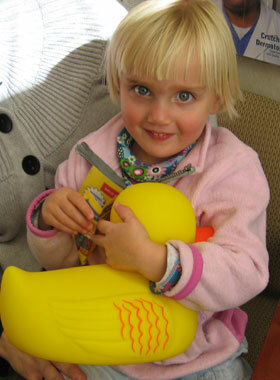 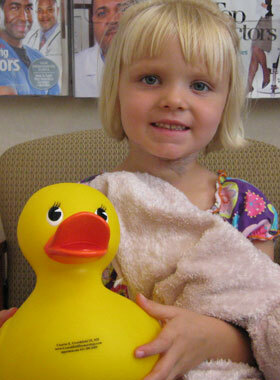 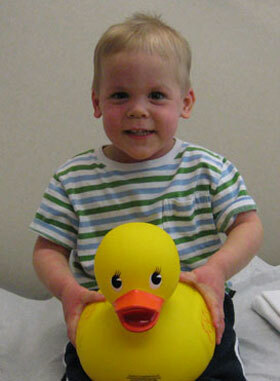 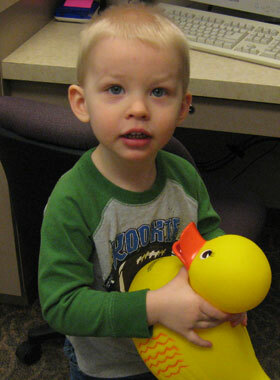 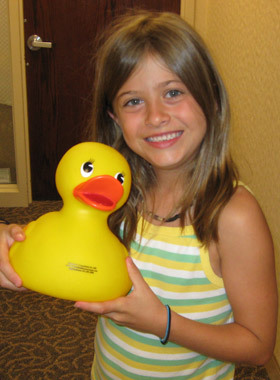 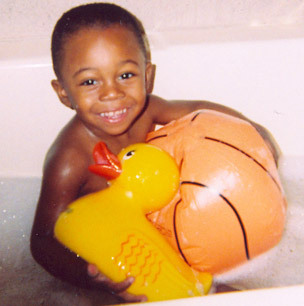 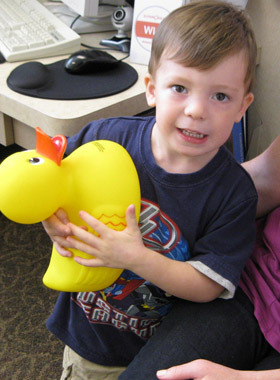 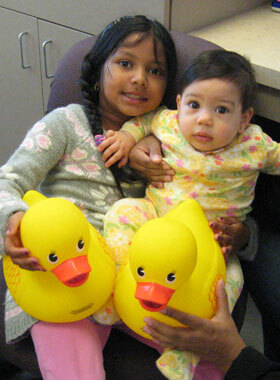 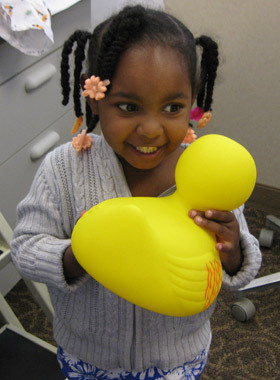 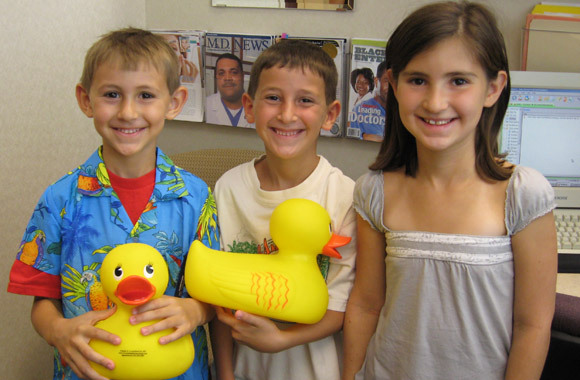 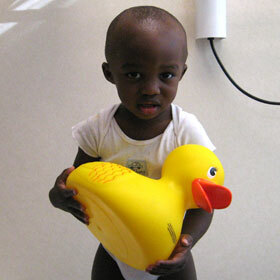 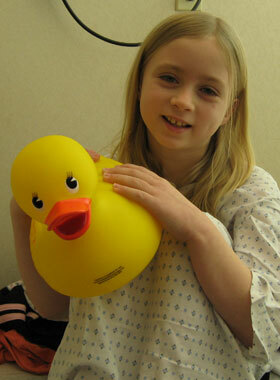 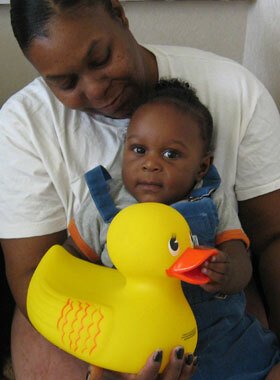 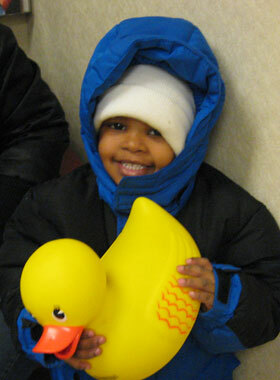 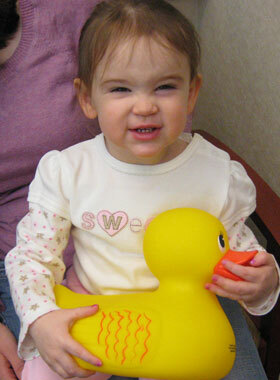 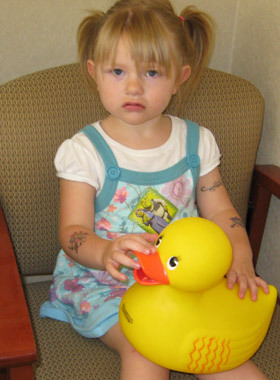 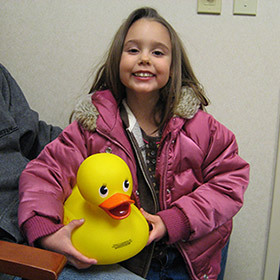 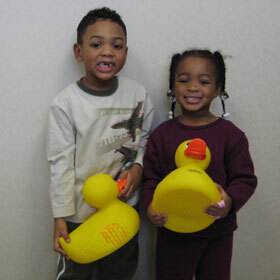 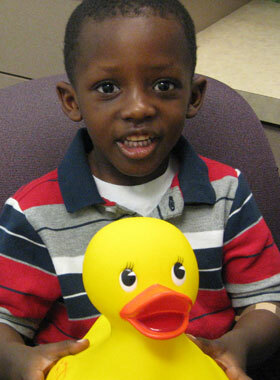 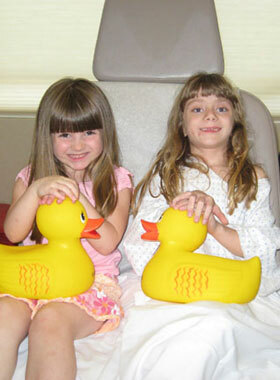 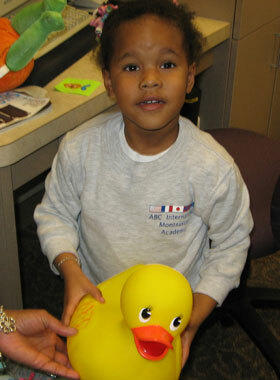 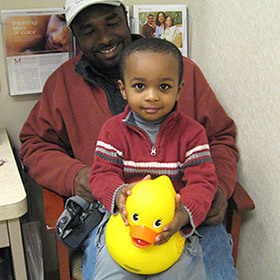 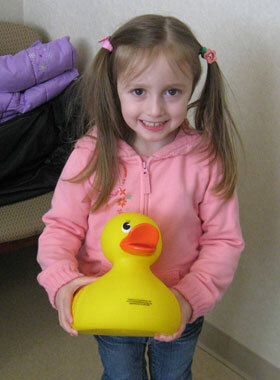 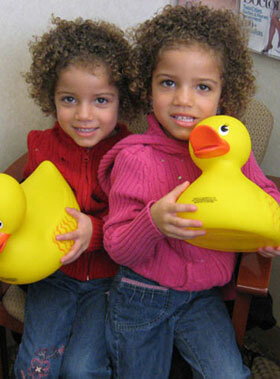 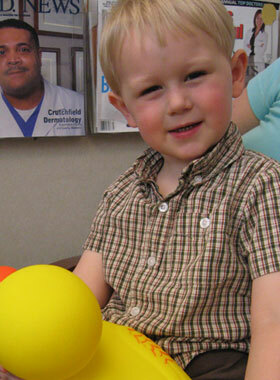 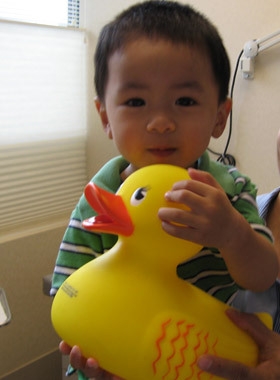 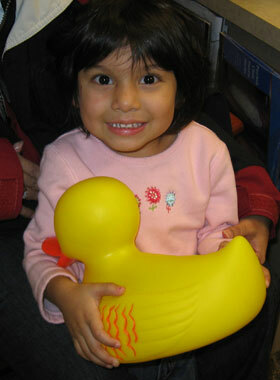 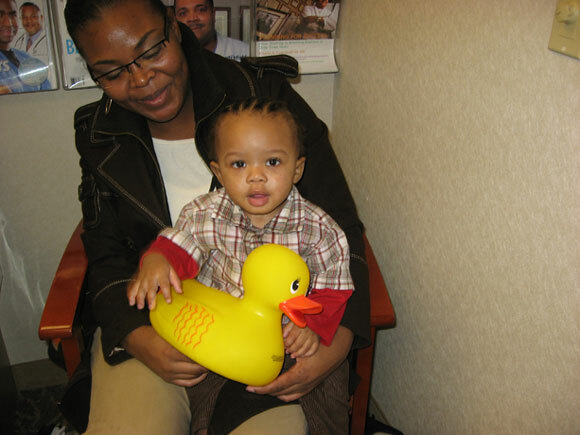 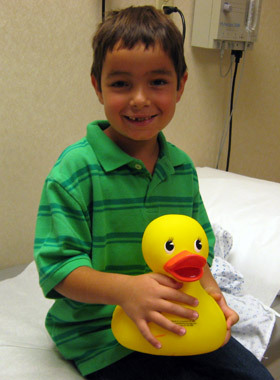 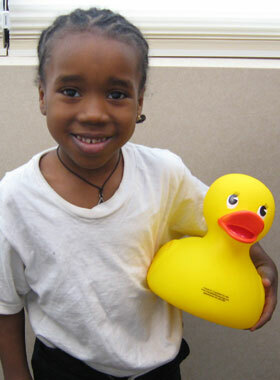 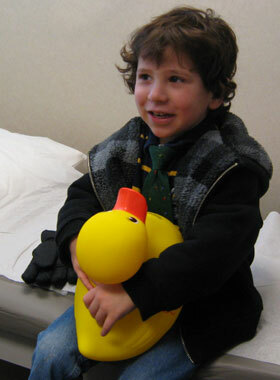 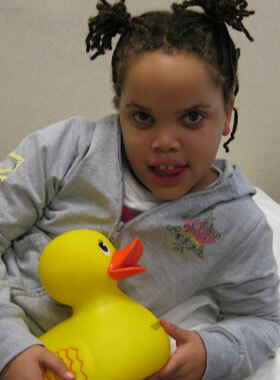 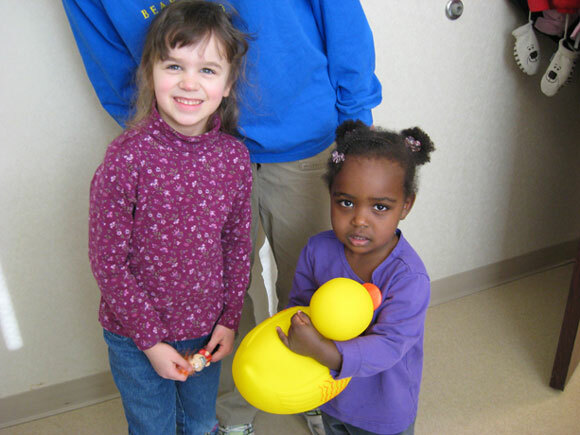 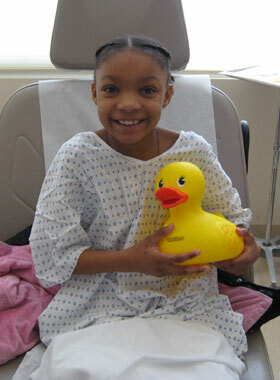 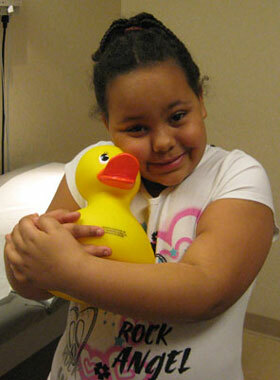 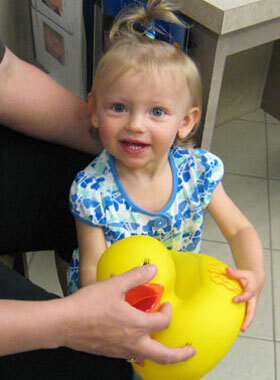 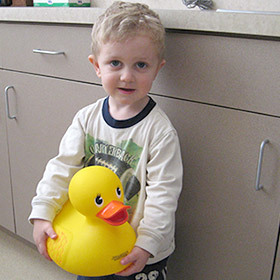 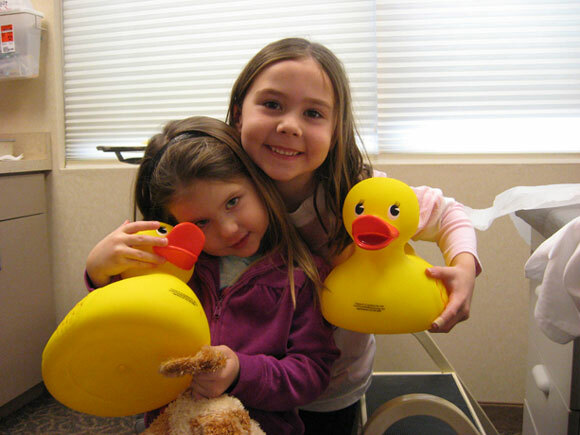 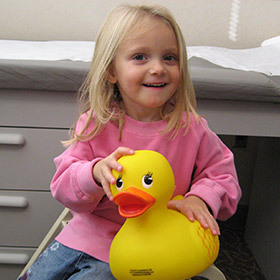 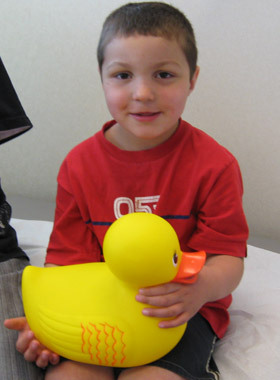 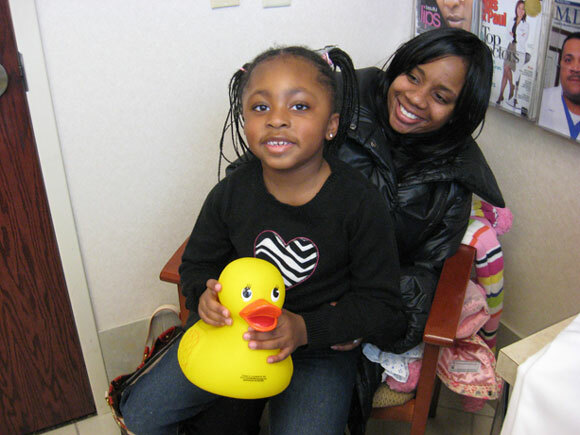 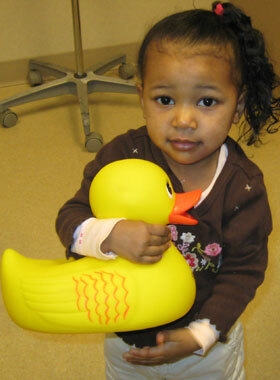 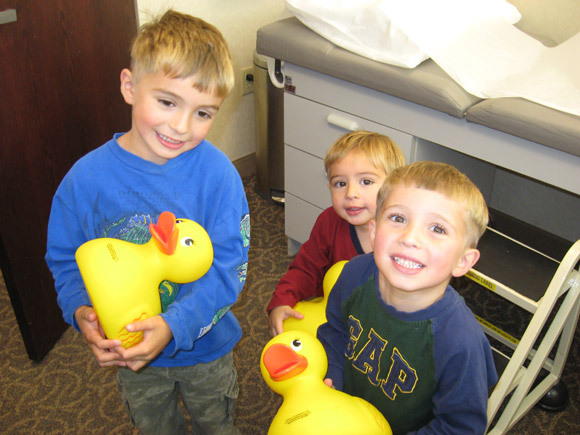 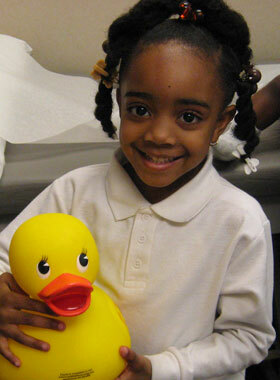 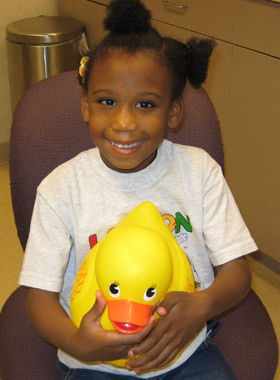 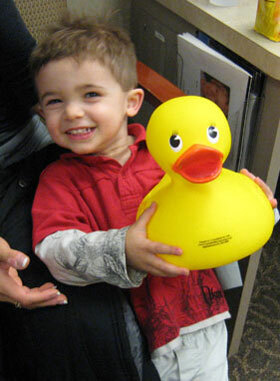 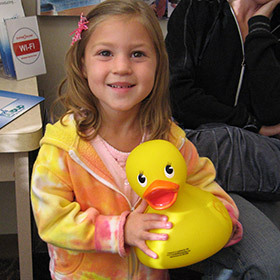 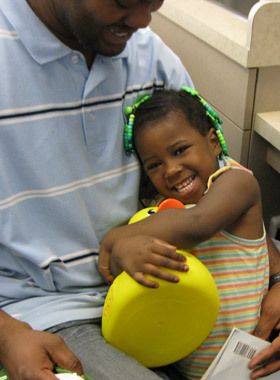 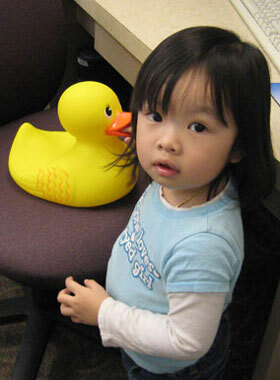 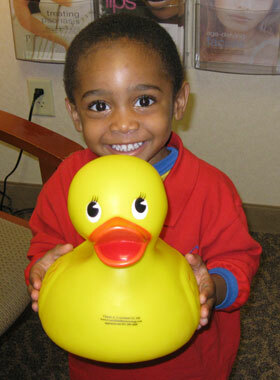 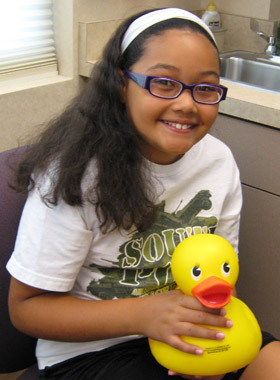 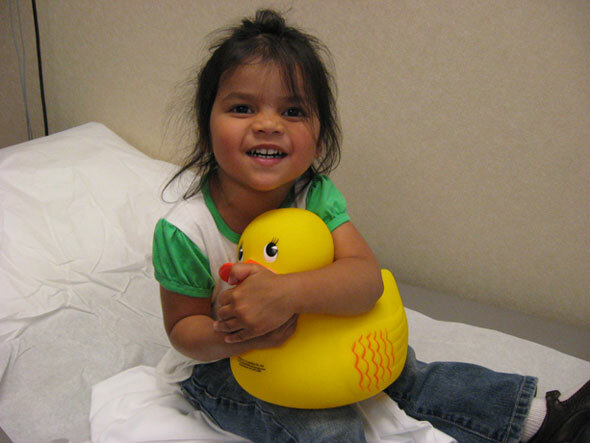 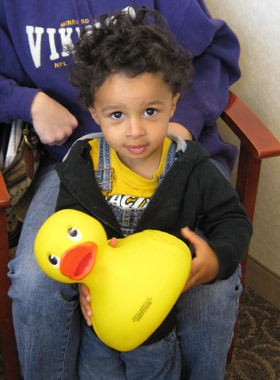 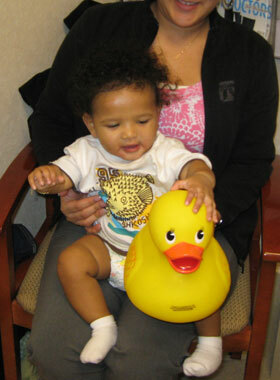 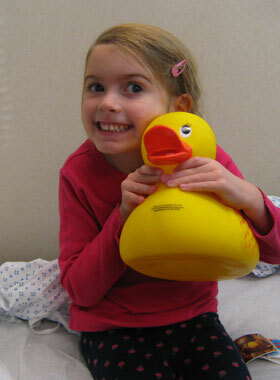 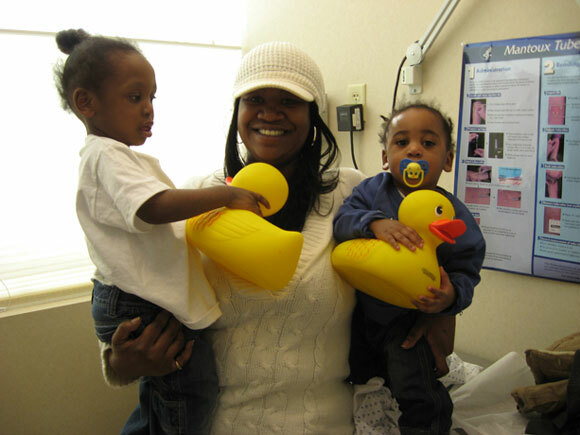 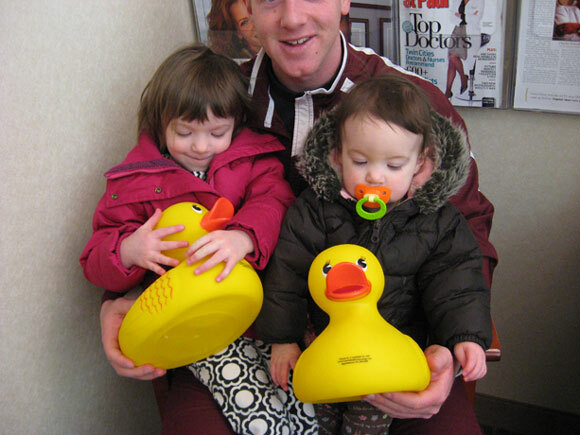 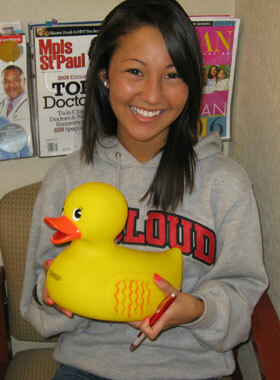 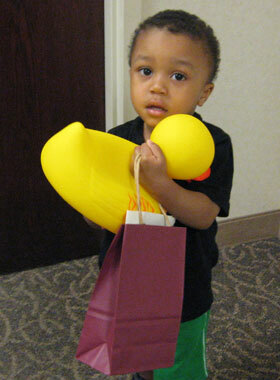 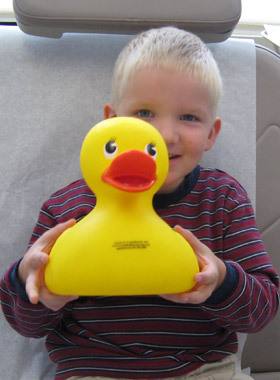 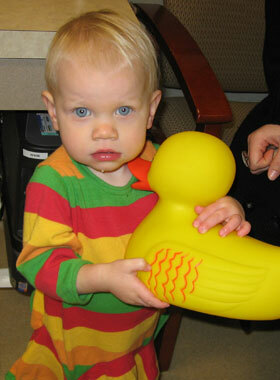 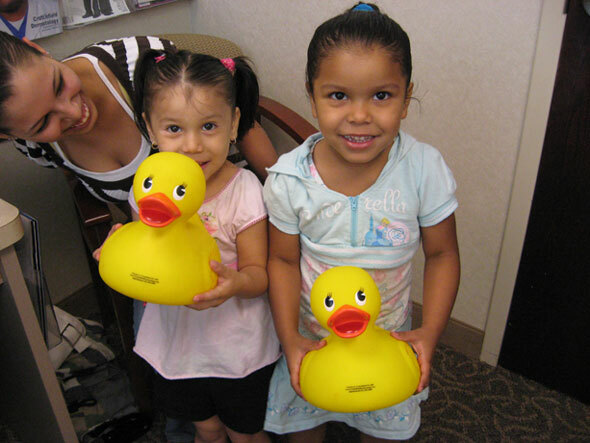 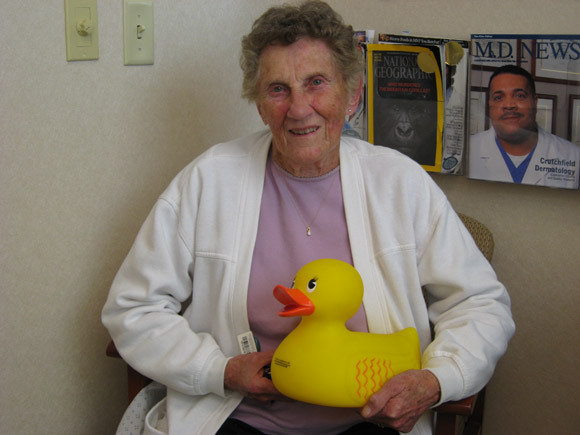 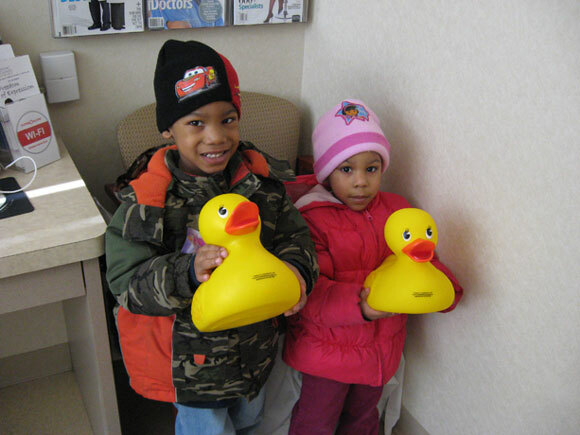 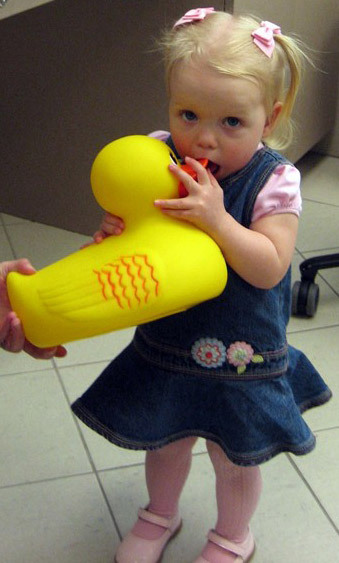 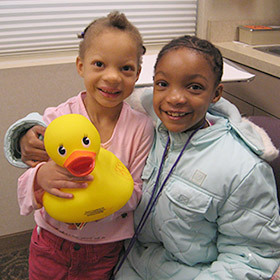 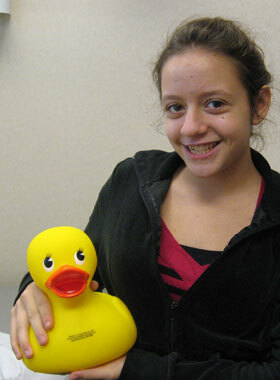 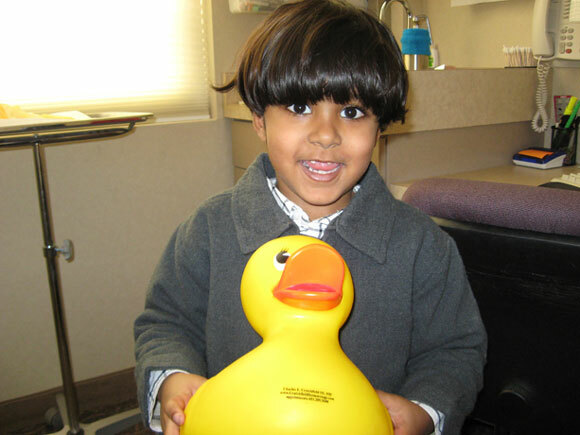 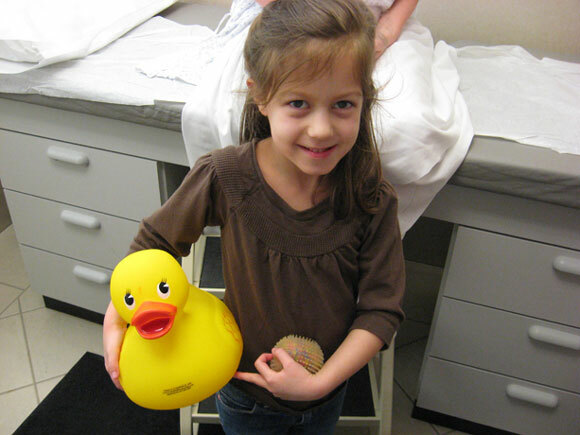 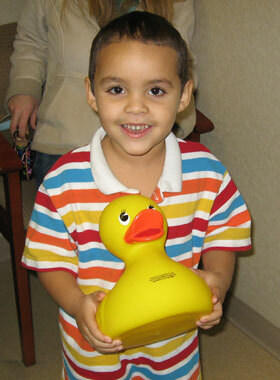 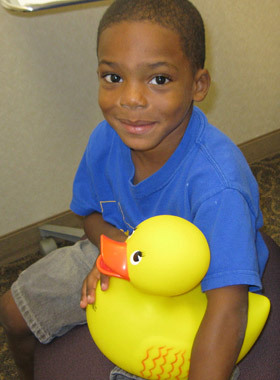 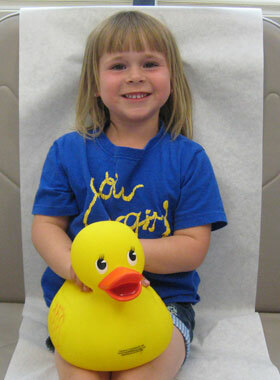 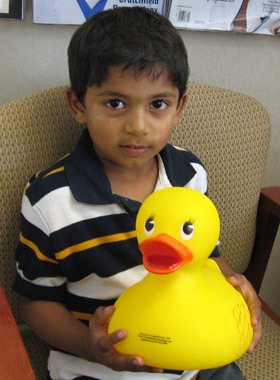 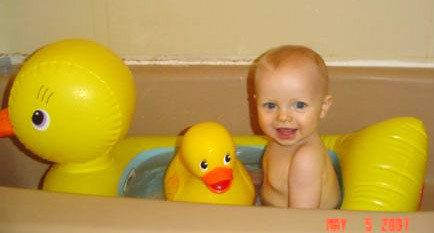 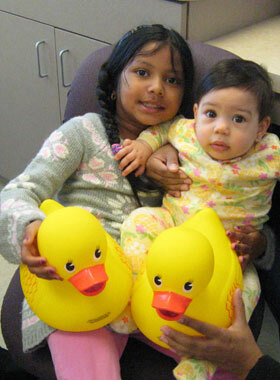 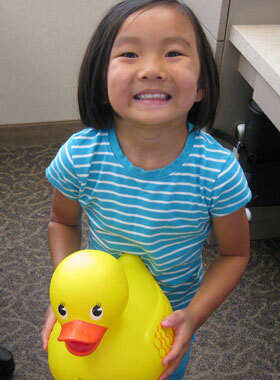 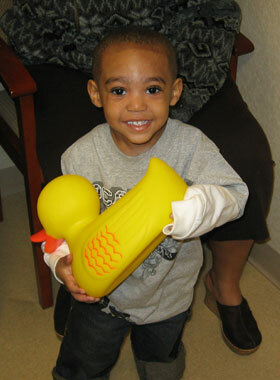 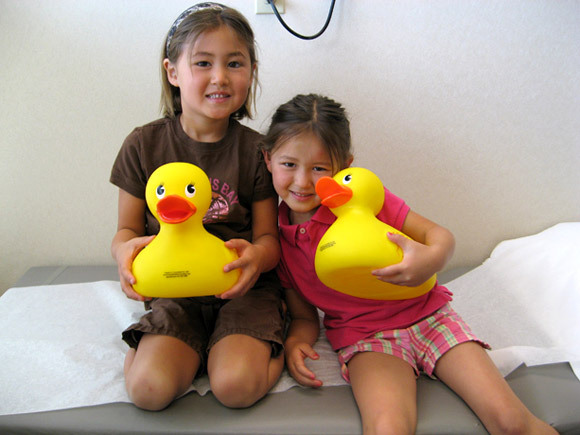 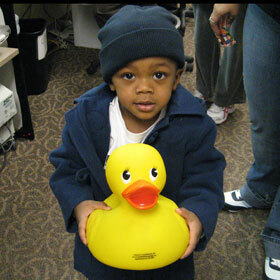 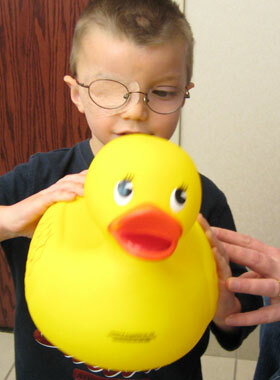 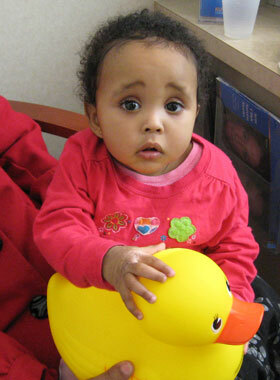 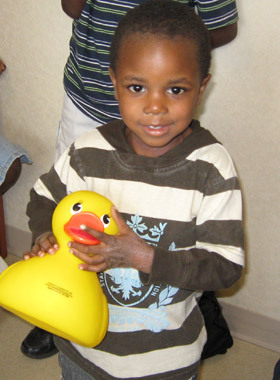 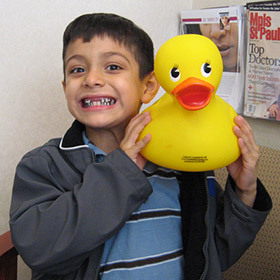 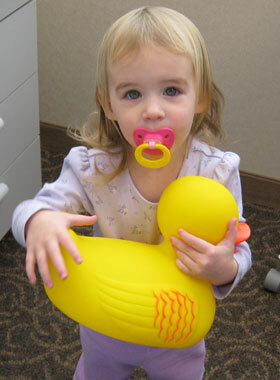 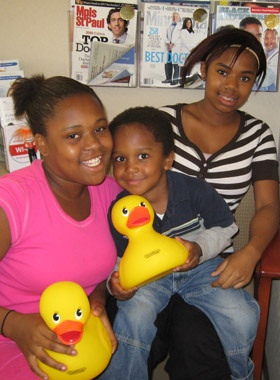 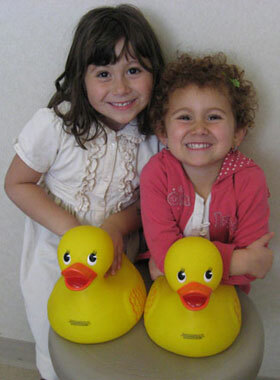 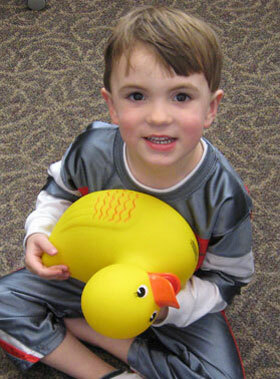 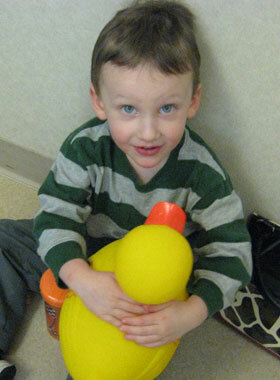 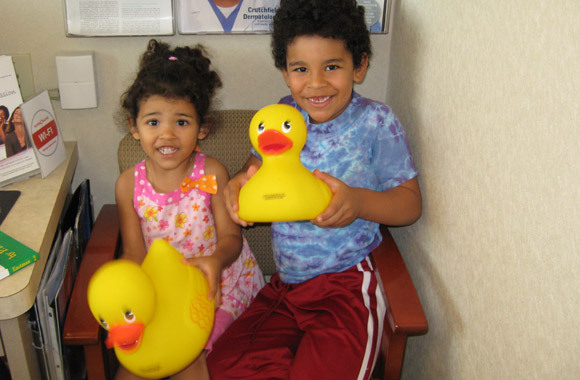 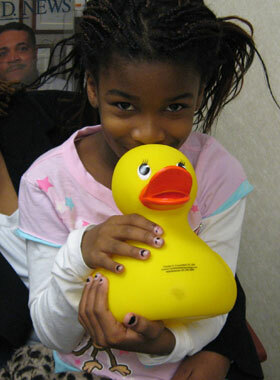 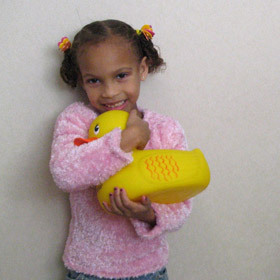 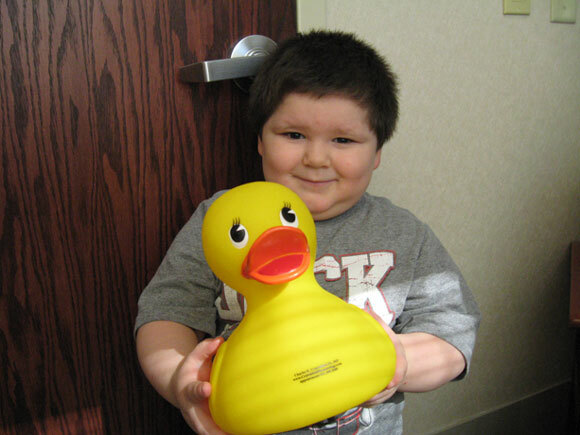 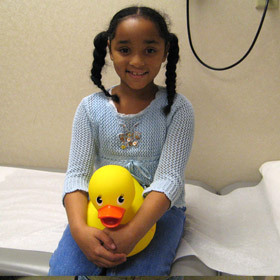 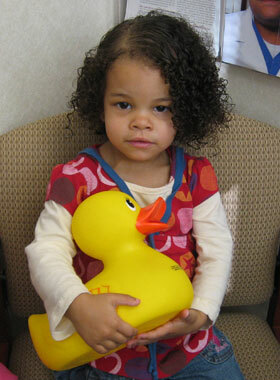 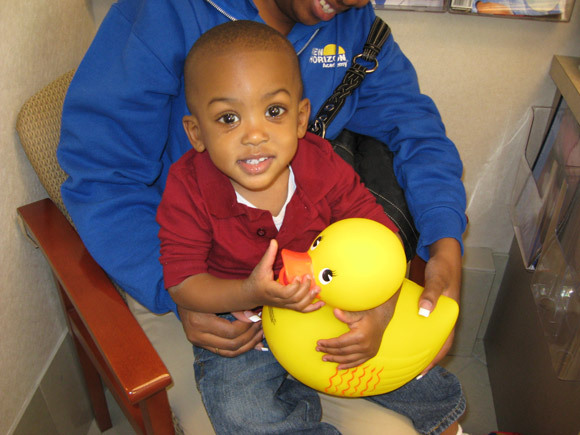 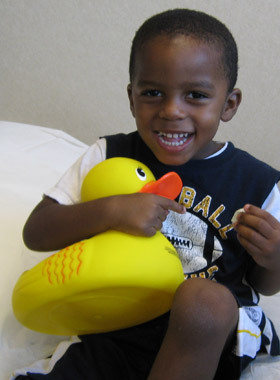 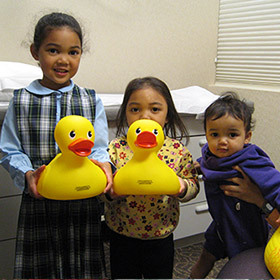 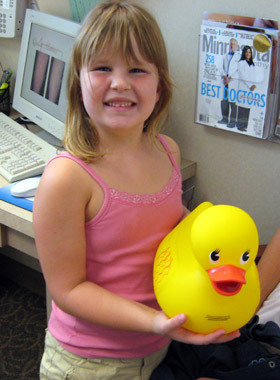 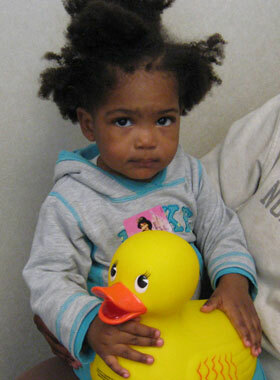 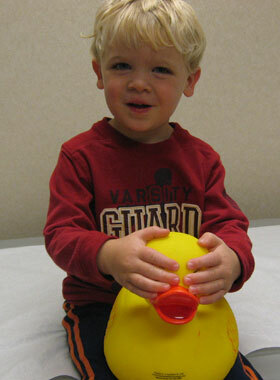 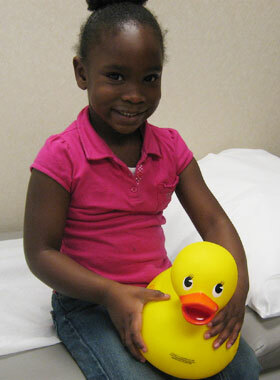 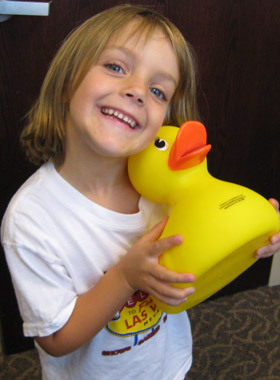 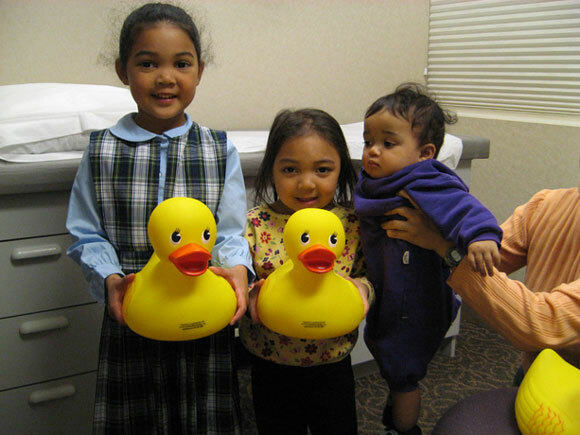 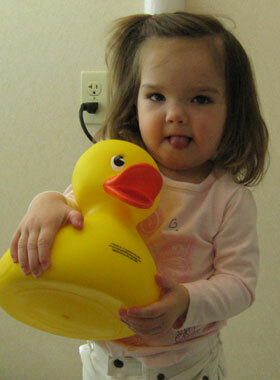 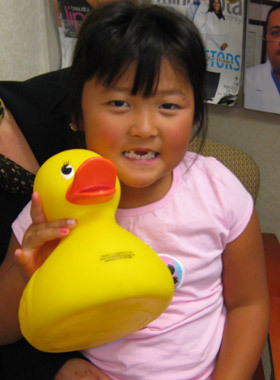 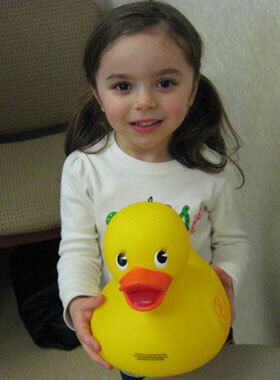 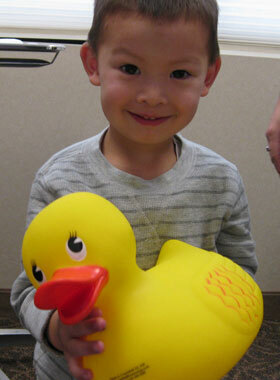 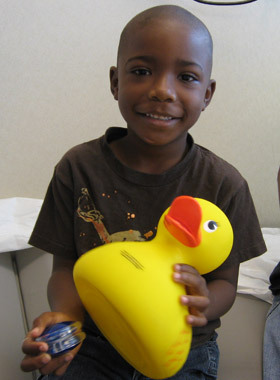 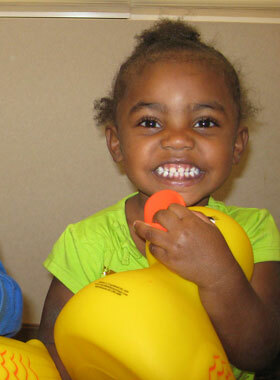 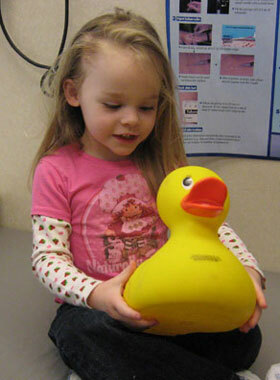 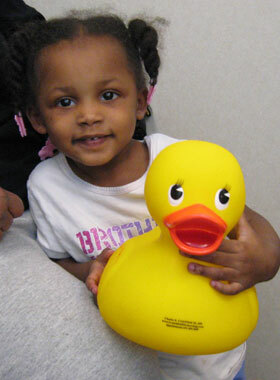 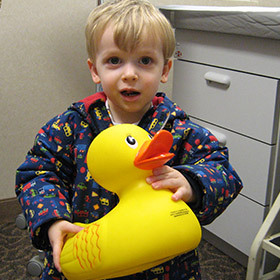 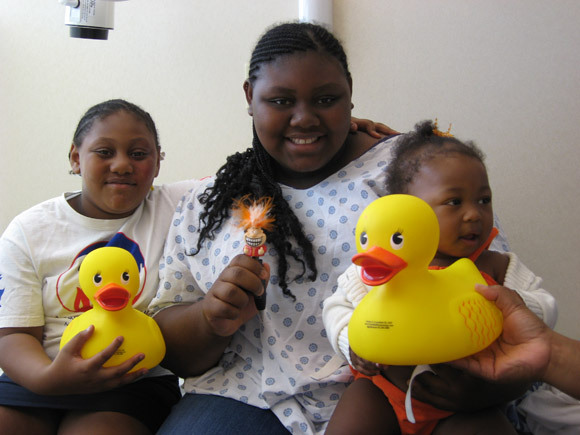 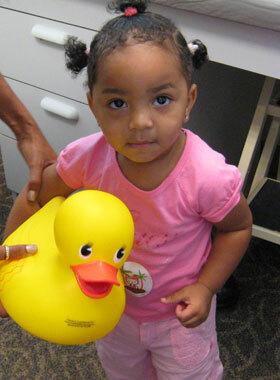 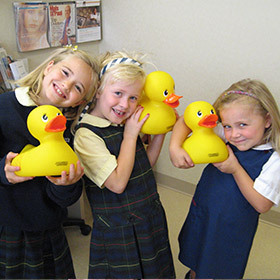 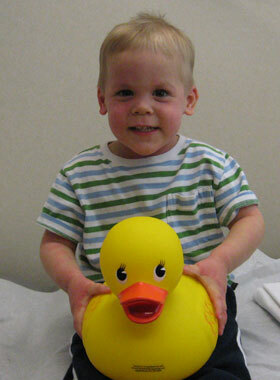 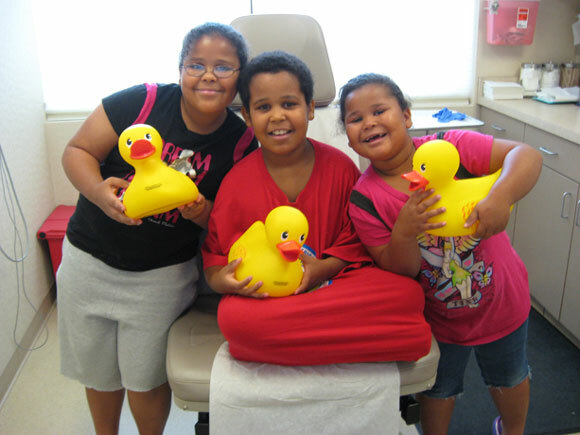 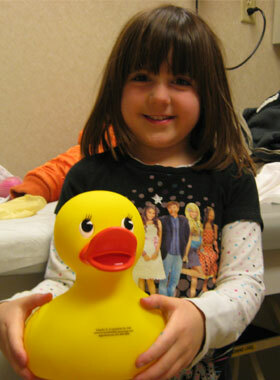 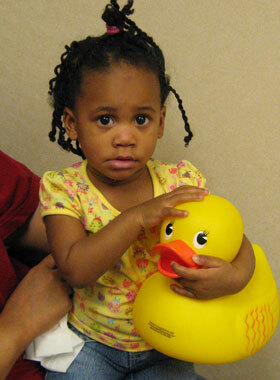 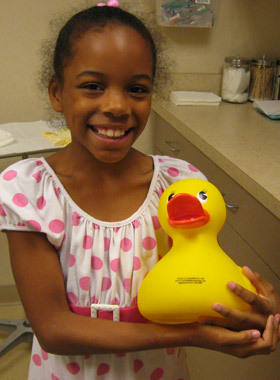 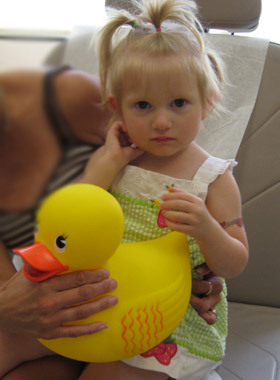 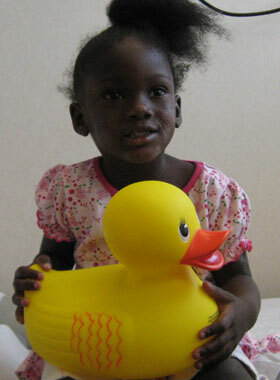 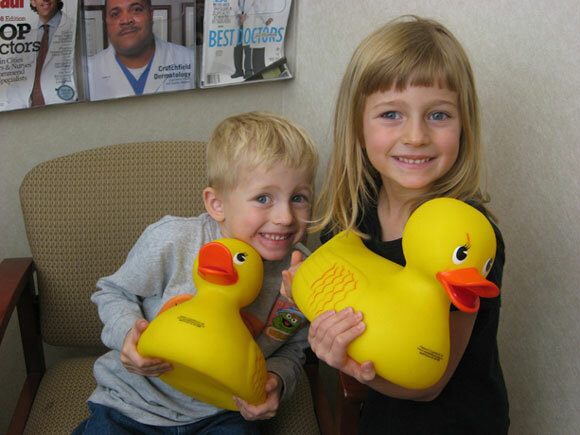 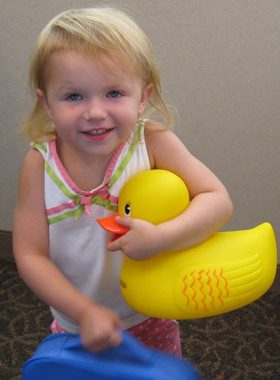 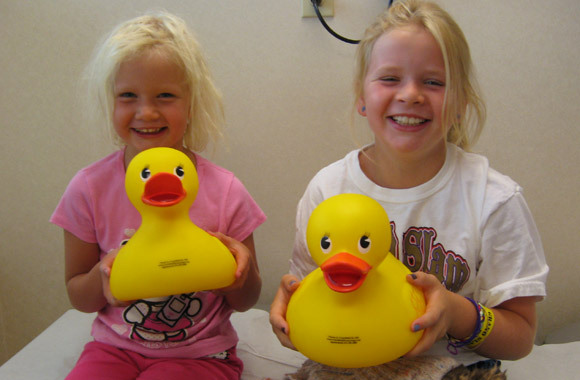 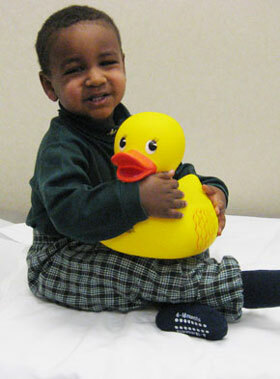 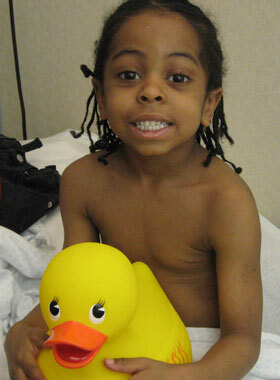 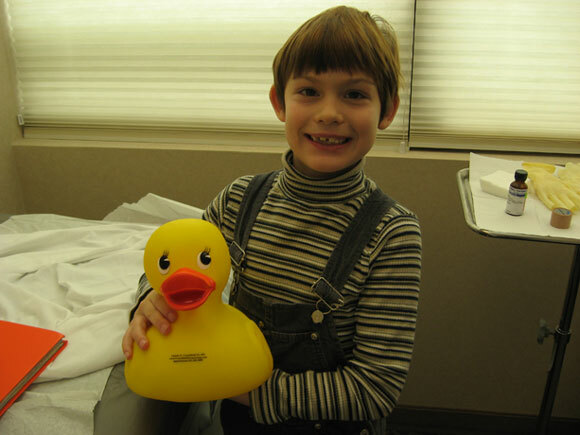 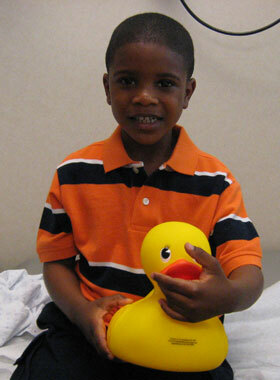 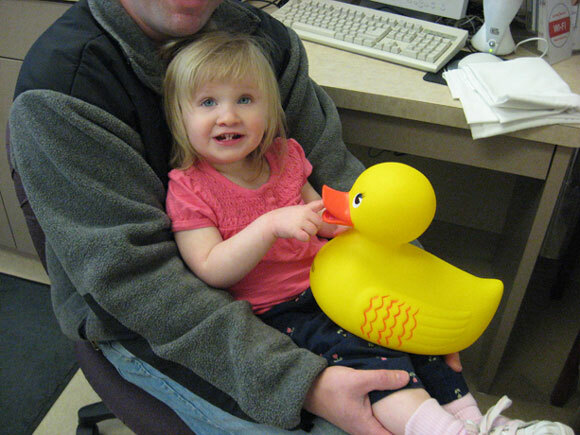 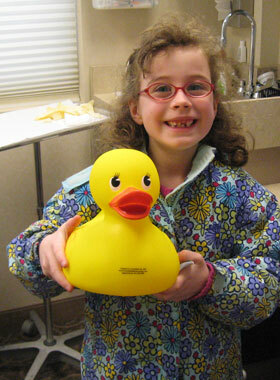 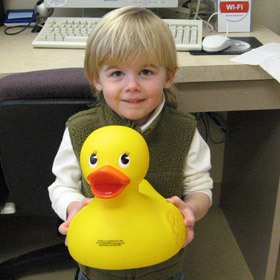 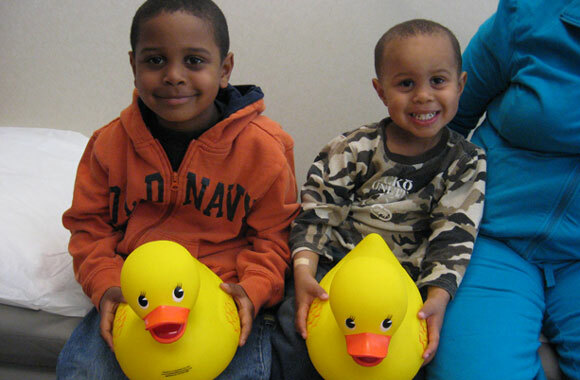 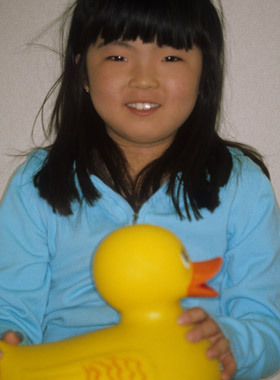 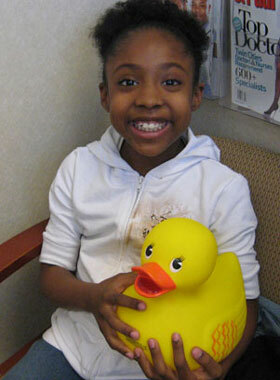 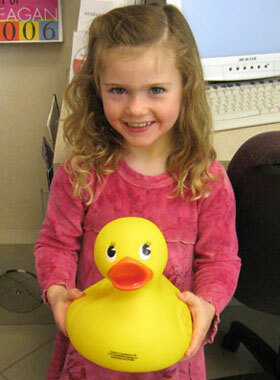 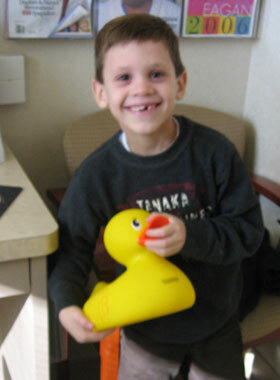 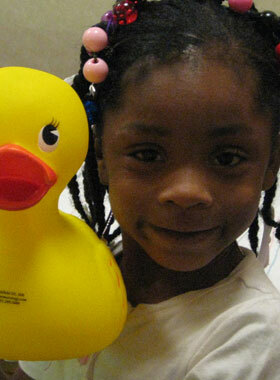 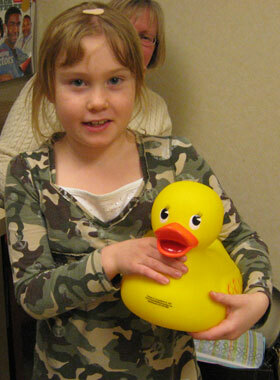 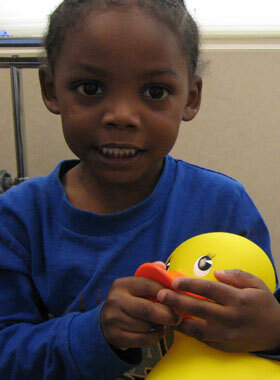 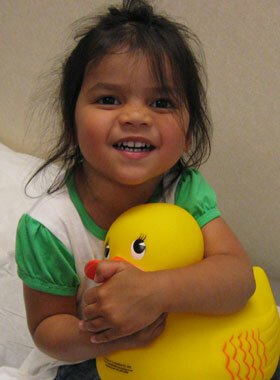 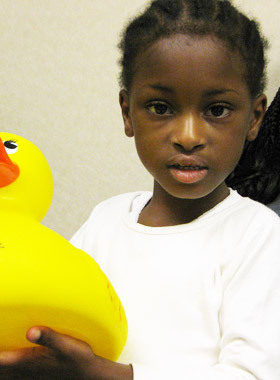 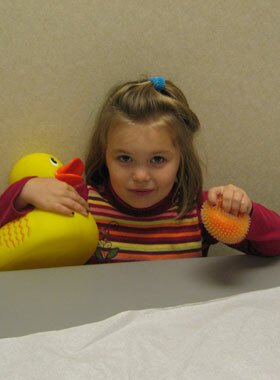 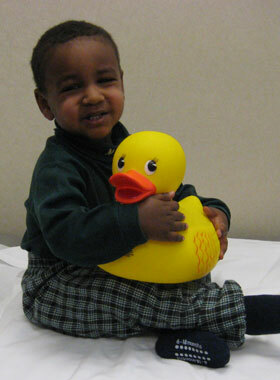 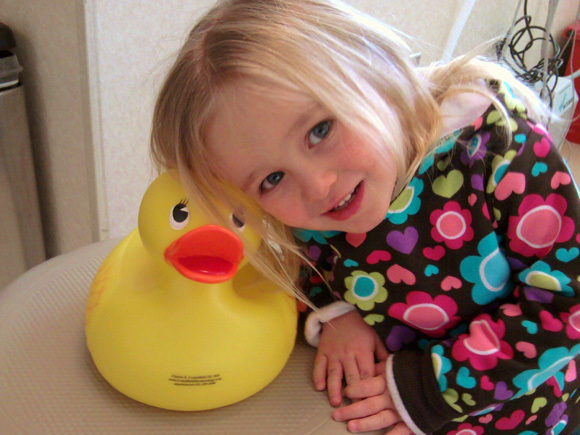 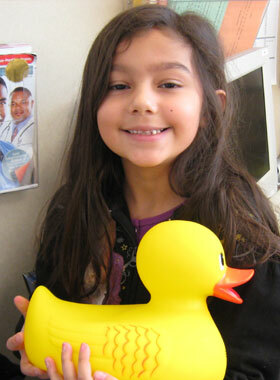 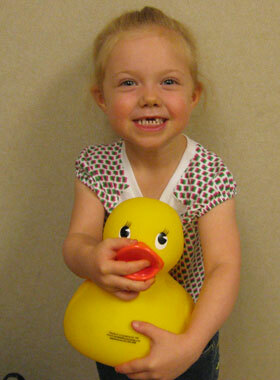 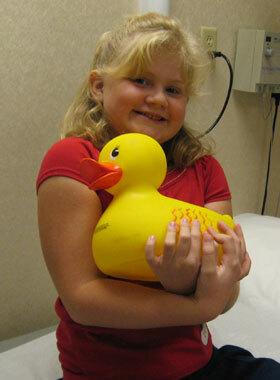 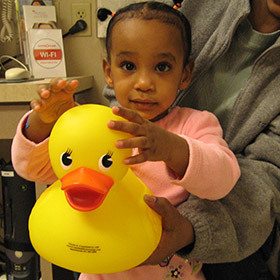 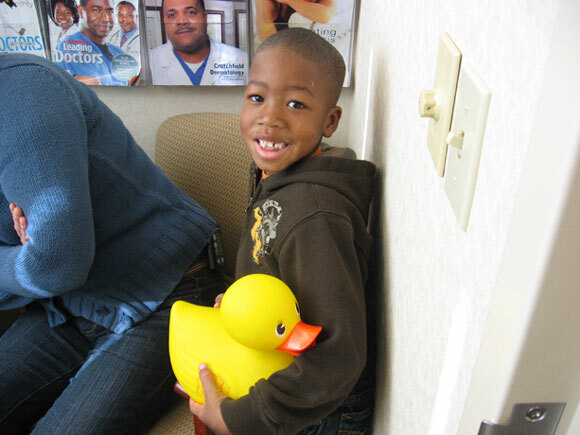 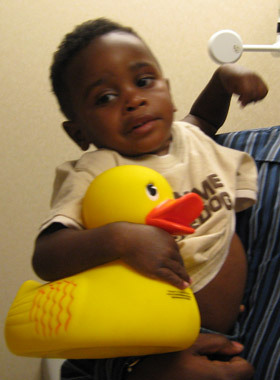 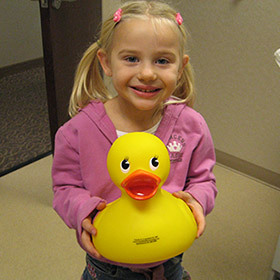 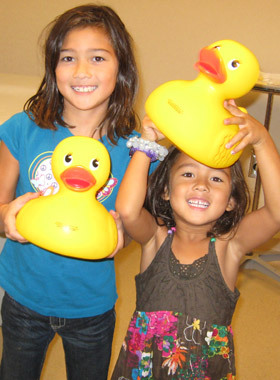 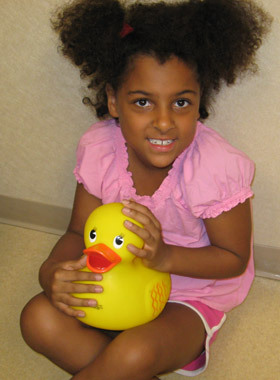 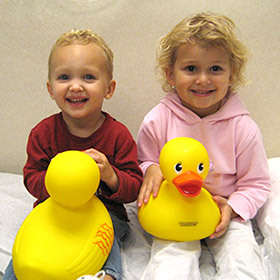 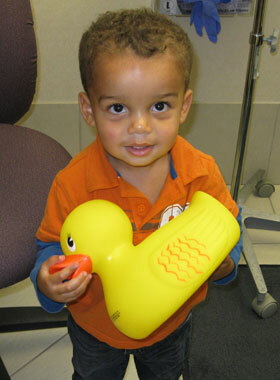 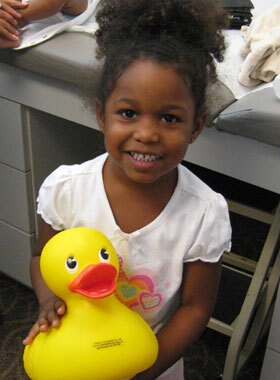 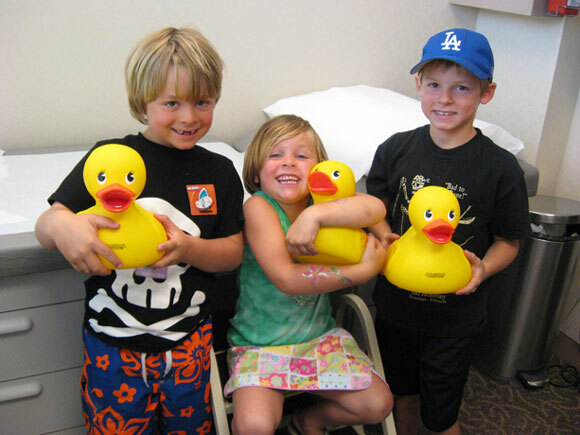 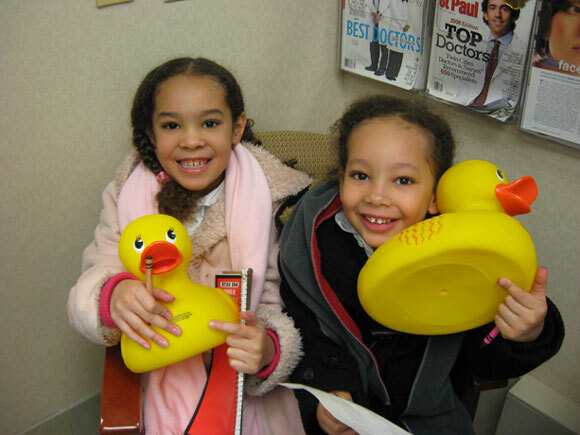 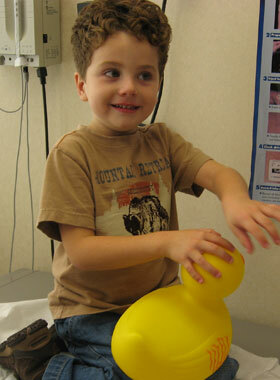 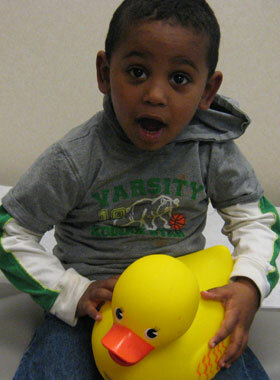 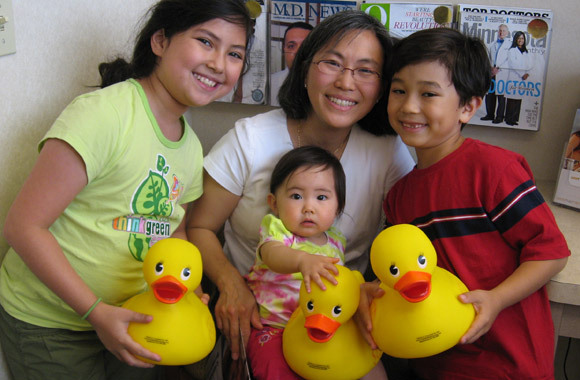 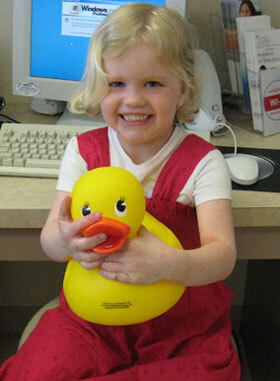 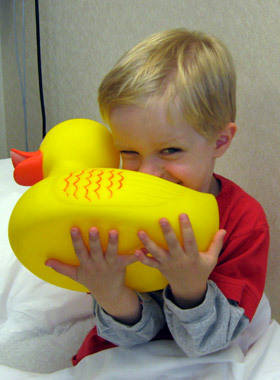 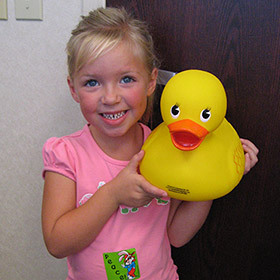 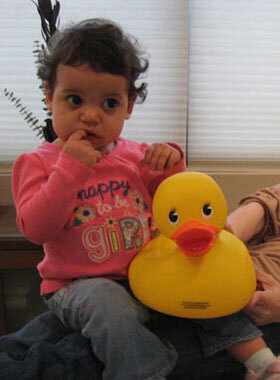 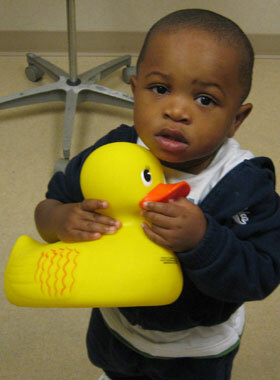 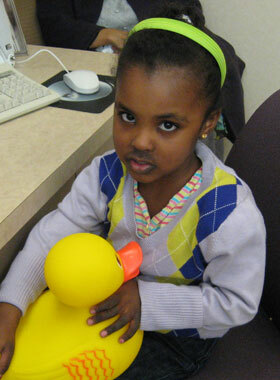 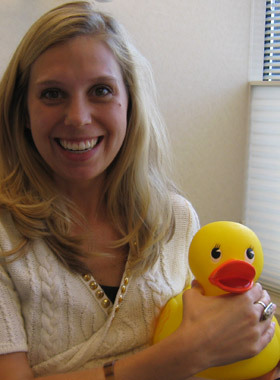 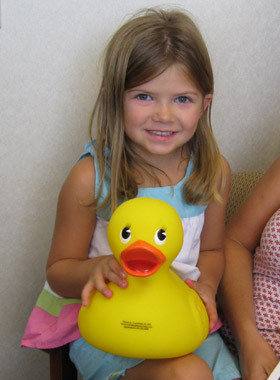 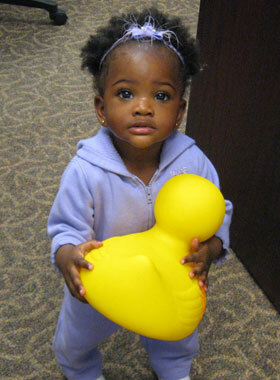 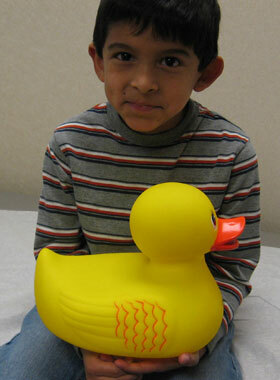 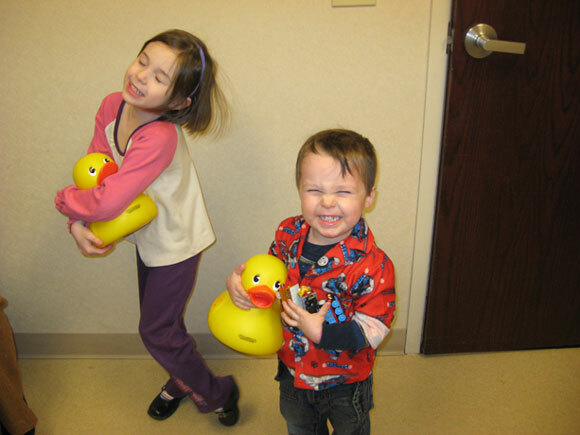 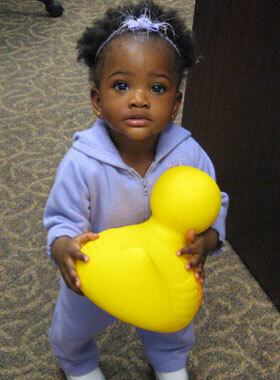 Each and every new pediatric patient receives a complimentary rubber duck from Dr. Crutchfield! 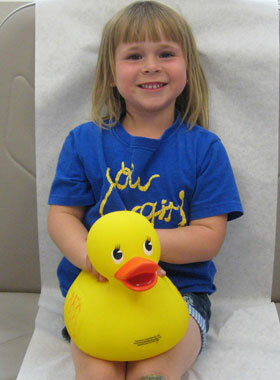 Call or email right now to schedule your appointment with us for your child. 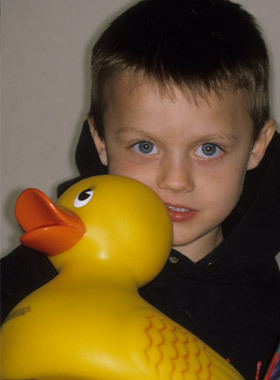 Have A Photo With Your Duck? 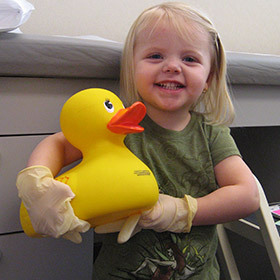 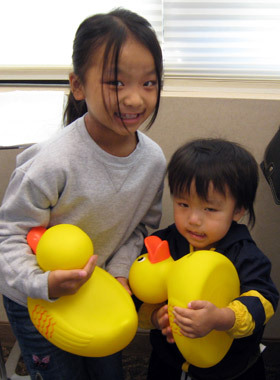 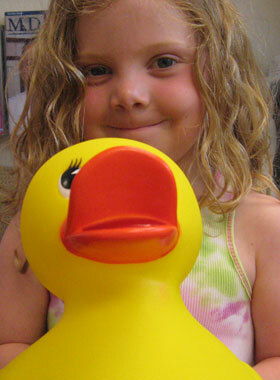 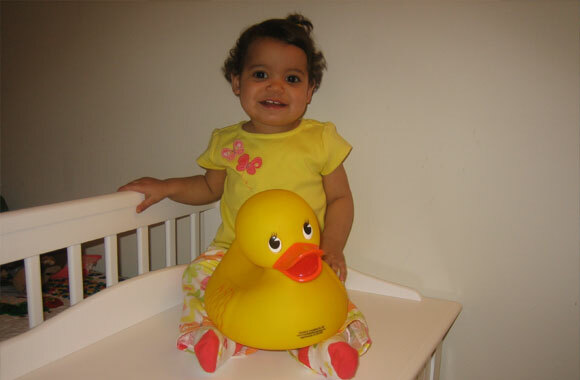 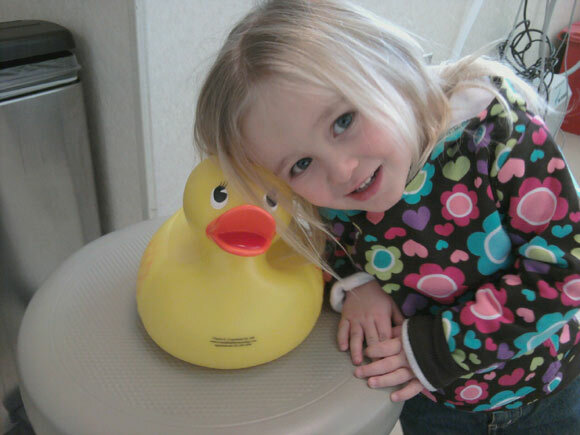 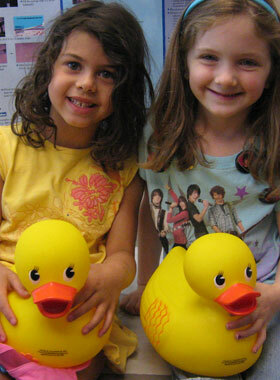 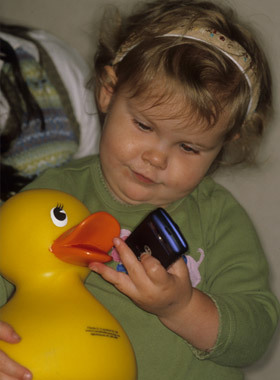 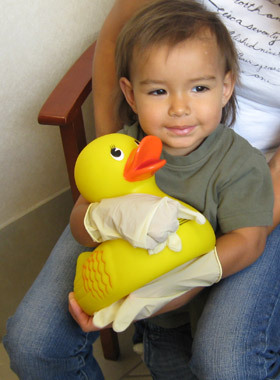 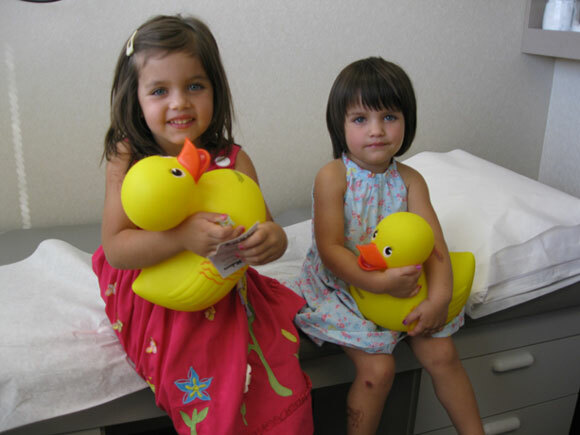 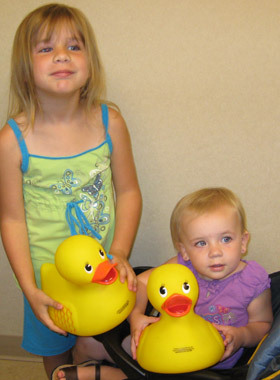 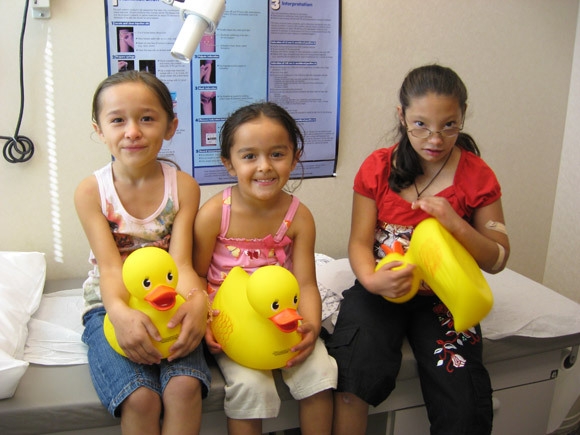 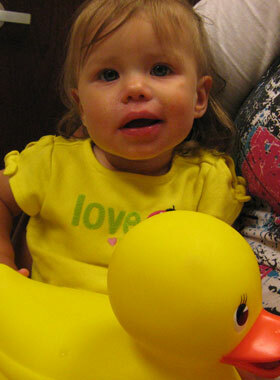 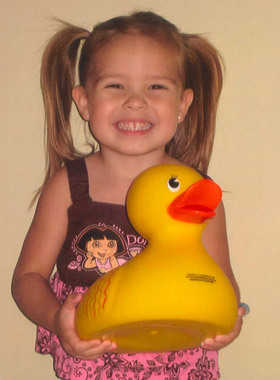 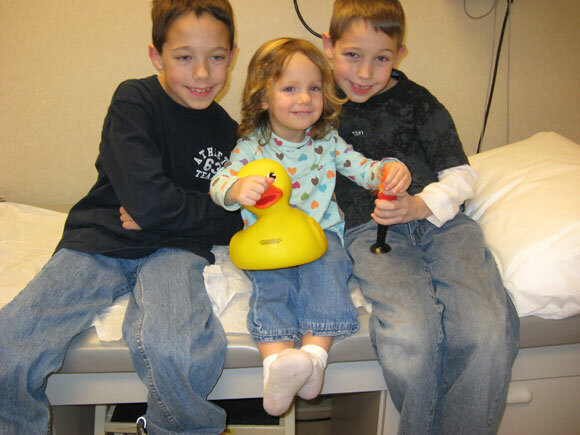 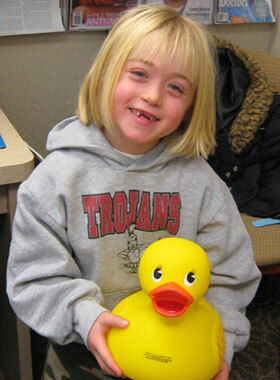 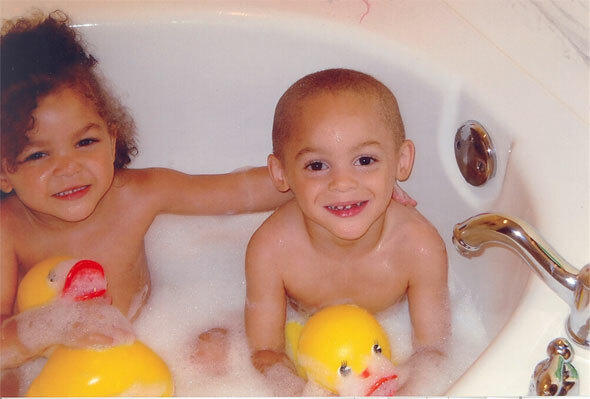 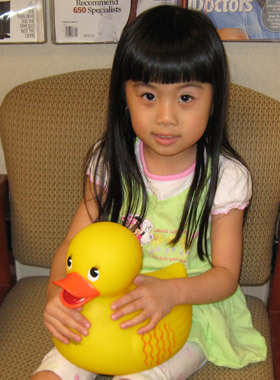 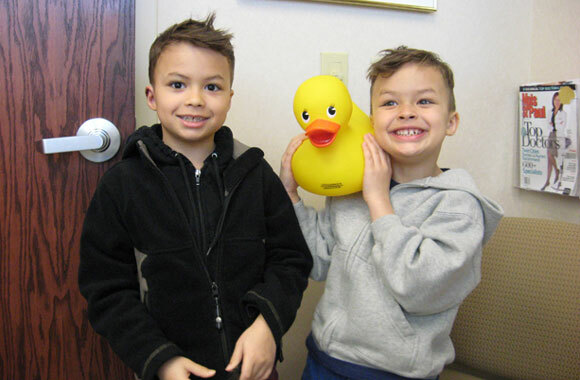 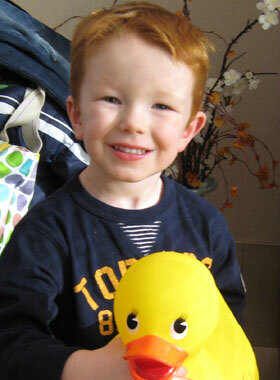 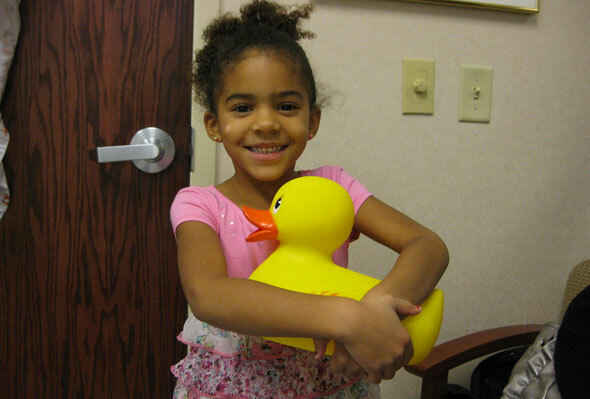 If you have a picture of your child with one of our ducks and would like to share it in our newsletter or gallery, please send it to: editor@crutchfielddermatology.com.